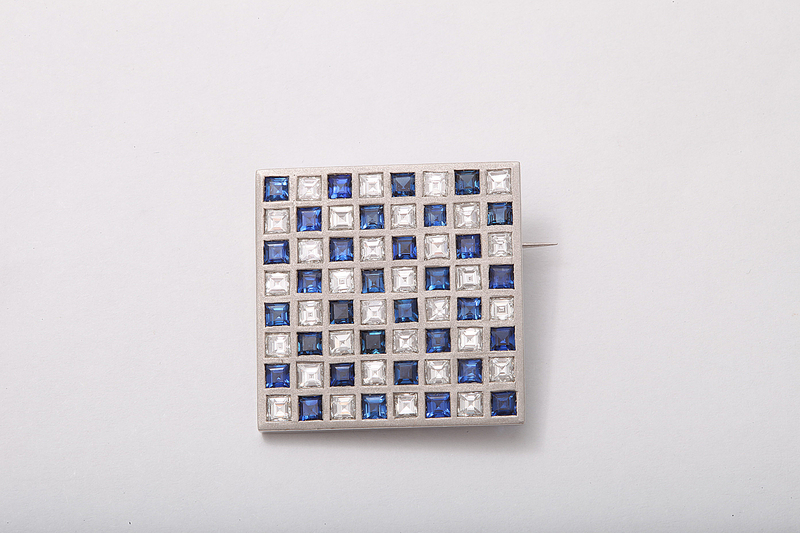 Sapphire and diamond pin in the form of a checkerboard set in platinum. diamonds approximately 1.60 cts. 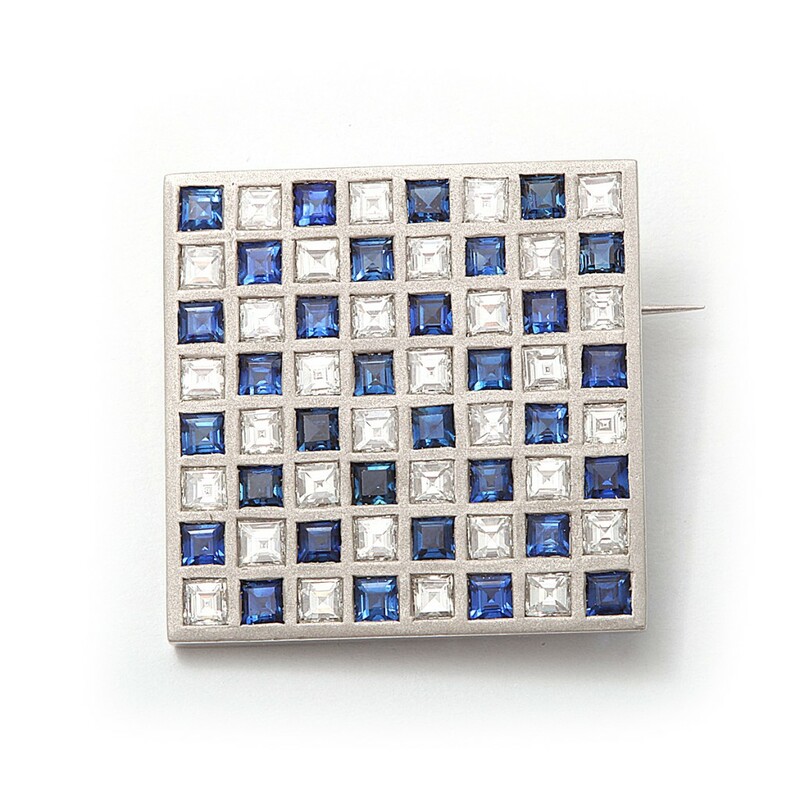 sapphires approx 1.80 cts.